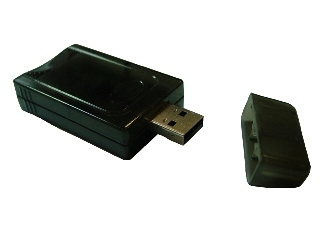 MPG035-D is a Digital TV receiver for DVBT with USB 2 interface for a Notebook or a PC. The device is only has a size of 68mmx32mmx13mm. It is very sensitive in reception even in motion. Test shows it continue to work even in a car with a speed as high as 110 kph. 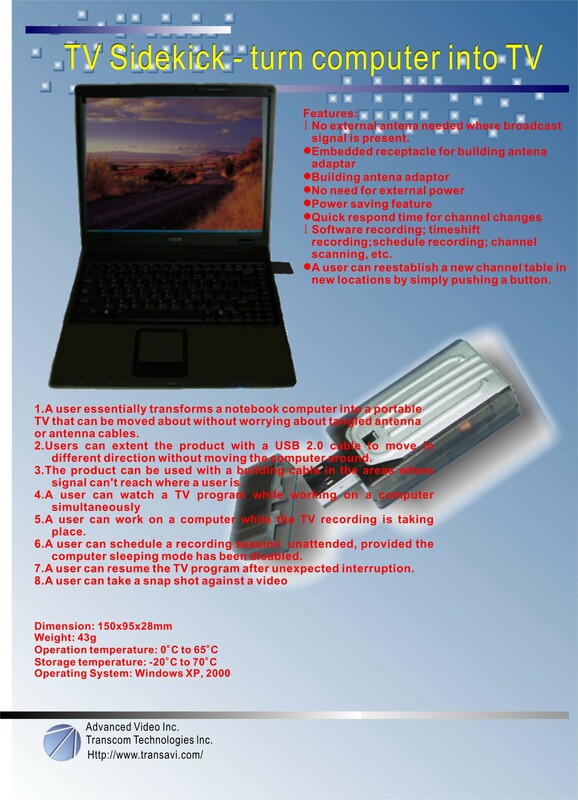 This unit uses a high sensitive Digital TV receiver for DVBT tuner and is capable of transform the broadcast RF signal into digital stream to pass on to a notebook and a PC to transform a notebook or a PC into a digital TV. The device you see in the picture is all you need; there is no more bulky antenna and receiver - it is especially designed for a notebook so that it literally transforms a notebook into a portable TV. The antenna has built in circuity to be placed in sleep mode when the TV viewing application is not running on the notebook computer. When the battery power of a notebook computer is getting too low, a user will be warned and followed by shutting down the viewing program and place itself into sleep mode. The device will be placed in active mode when the battery power of a notebook is deemed too low. This unit comes with a building antenna connector receptacle (not shown) at the other end of the product that allows a unit to accept the building antenna connector. The same connector receptacle can also accept a powered whip antenna for better reception at a user's discretion. The external antenna and internal antenna will not interfere with each other when the external antenna is also put to use. 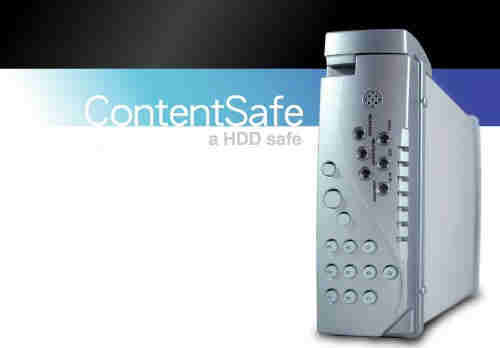 This is the only unit on the market today has such versatility in dealing with digital signal reception.